The informal and arbitrary policy of this blog has been to attempt to alternate 'historical' features with model/kit presentations. 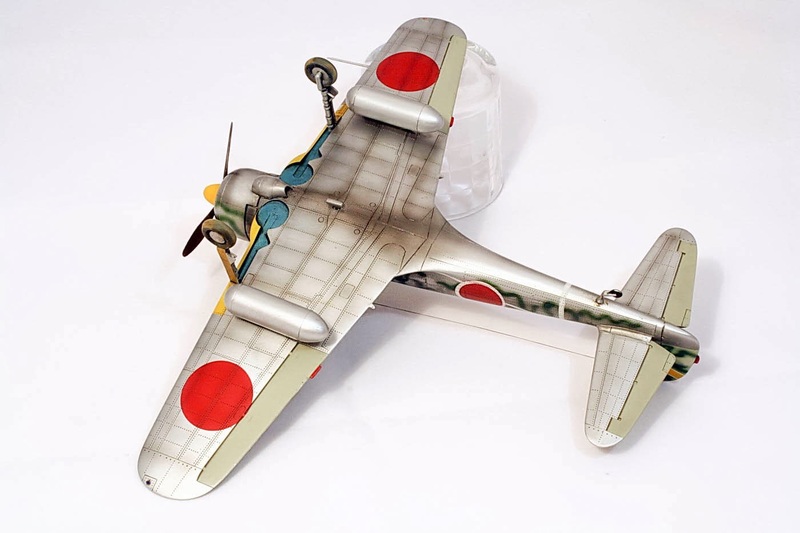 There are now several of the former languishing in preparation so rather than extend the absence of updates here are images of a fine example of the Otaki Hayabusa as built by Karel Struna. "Another very old kit from the Arii/Otaki family. Typical rivets are present together with perfect precision. I started again with the cockpit which corresponds to the kit age. The lack of detail is one of the major weaknesses of the model. 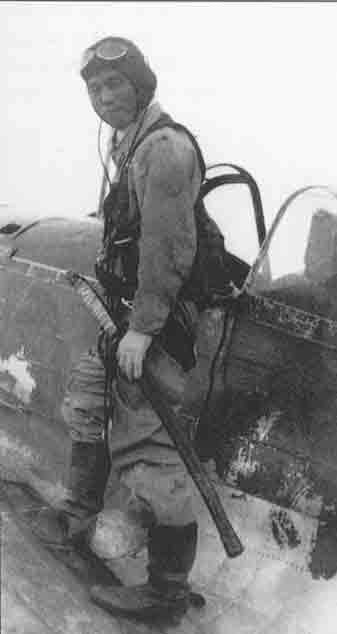 Despite this fact, only home made seatbelts were added, because the canopy was planned to be closed. The fuselage and wings fitted perfectly and only small gaps were filled with the black glue and smoothed with debonder. Then a layer of surfacer was applied. Alclad aluminum was used for the base paint together with the canvas colour for ailerons and elevator. 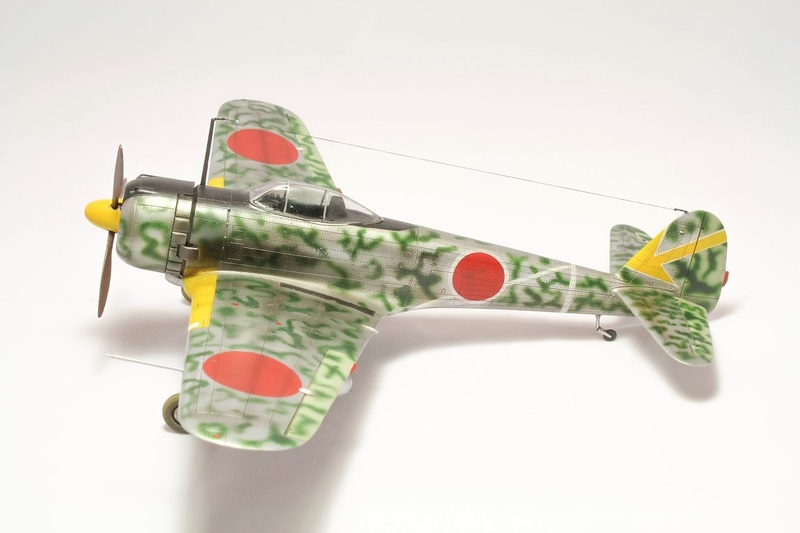 Then the whole marking was sprayed using vinyl masks and Tamiya tape and then the green mottling was applied as the final part of the camouflage just like in real life. Panel lines and rivets were highlighted with Mig wash. Small amount of smoke exhausts were painted using Tamiya smoke as well as the dust on wheels which was created by using an earth pigment. Scratches on the green snakes were made with a help of AK interactive worn effect. detail, thickness and overall quality of the canopy part." 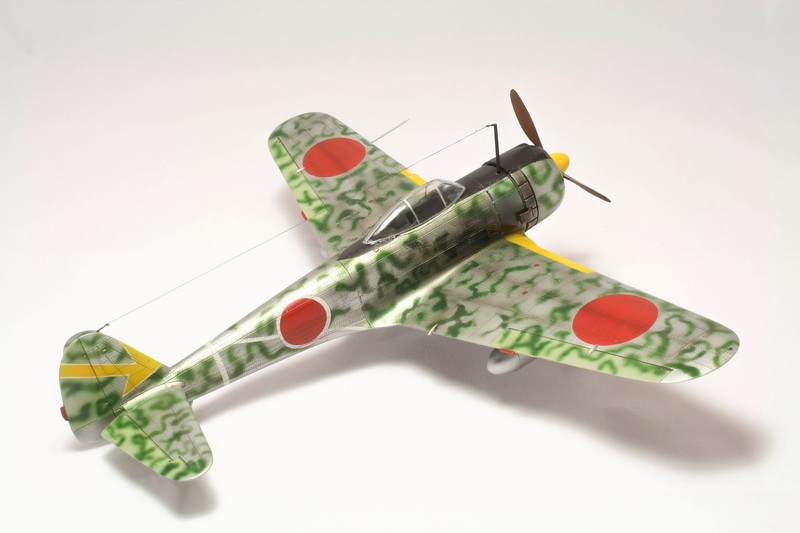 Karel's model is finished as an aircraft of the 3rd Chutai, 64th Sentai as flown by Lt Yohei Hinoki from Mingaladon, Burma in November, 1943 and Karel has replicated very nicely the mottle camouflage described by a contemporary RAF pilot as being like "moss on a bright stone". 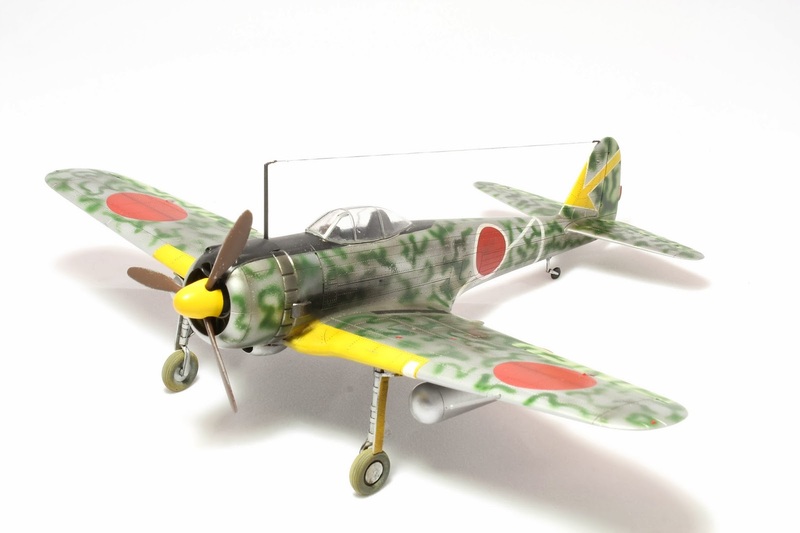 The Otaki kit first appeared in the mid-1960's and until the introduction of the FineMolds and Hasegawa Hayabusa series was pretty much the only game in 1/48th town. 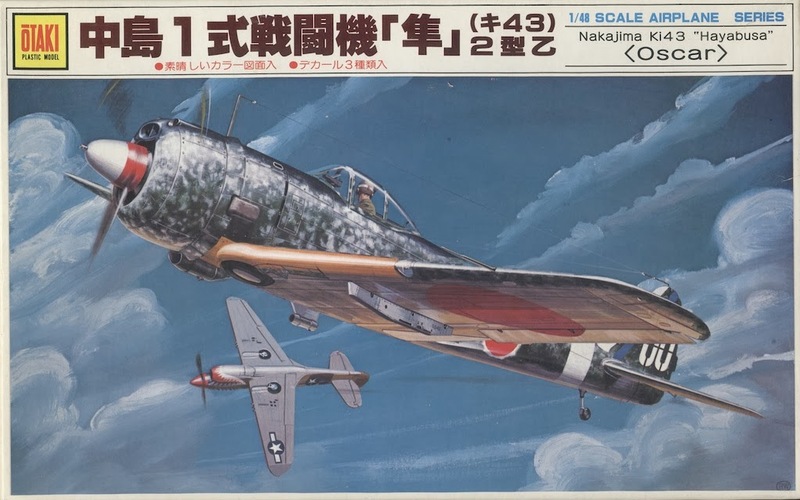 There was a near contemporary Ki-43-III Ko in 1/50th scale from Tamiya but the Otaki kit represented cutting edge kit technology with its fit of parts and fine recessed detail. I don't recall it being generally available in the UK but it was the first kit I built when I resumed modelling after a hiatus imposed by duties and movements. It was then getting on for ten years old but was new to me and I enjoyed completing an out of the box 'dining table' build with the minimum of tools and resources - some sheets of newspaper, a razor blade, glue, a couple of pots of paint and a paintbrush. Remember when it was that simple? Second issue. 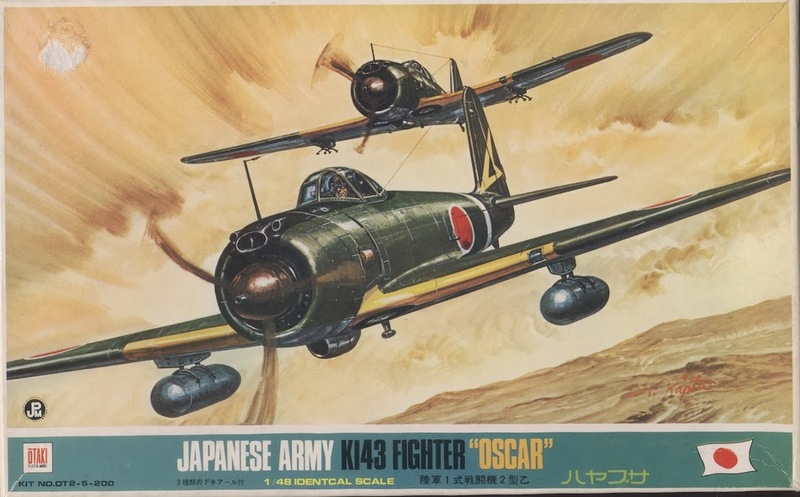 Classic box art by Rikyu Watanabe of 25th Sentai leader Sakagawa in combat with a 14th AF sharkmouth P-40. Note absence of headrest - the artist knew his stuff! 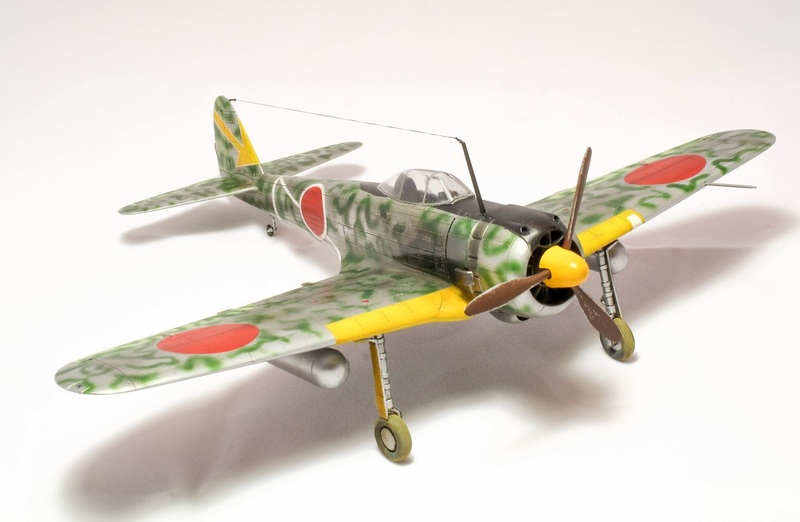 The kit represents a late production Ki-43-II with rearwards facing exhausts and drop tank racks outboard of the undercarriage. 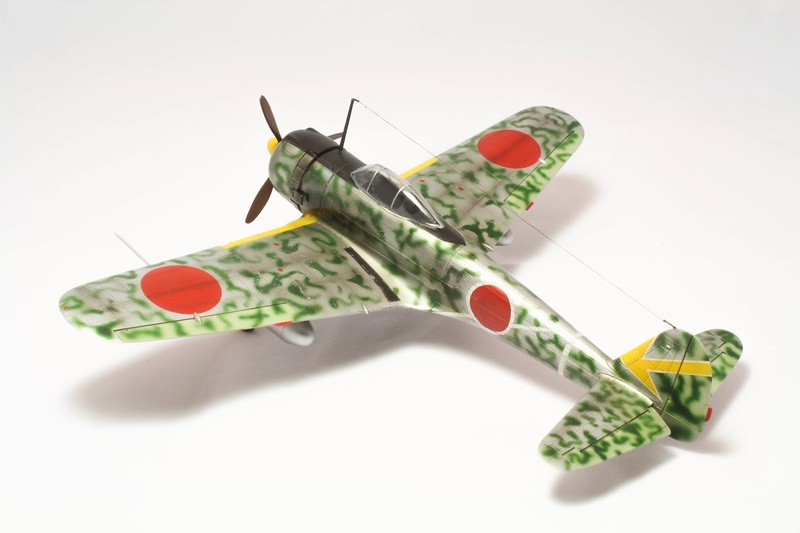 The first issue of the kit was molded in dark green plastic and contained decals for three options:- an aircraft of the 25th Sentai's 2nd Chutai, and aircraft of the instructor's flight of Kumagaya Flying School with Home Defence 'bandages' (which I selected for my first build) and an aircraft of the 3rd Chutai, 63rd Sentai (as depicted on the box art. Revised artwork, same subject and artist. Collectable were it not for the Scale Craft philistine! 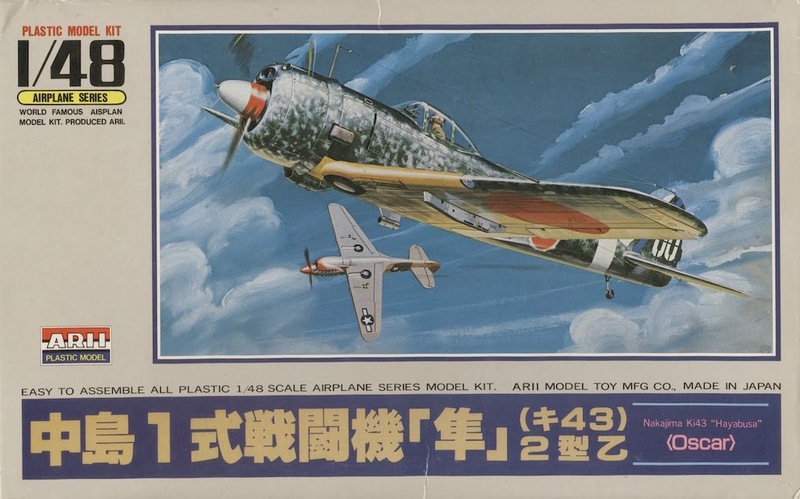 The second issue from 1972, now molded in grey green plastic, also included three options:- Sakagawa's machine, the Kumagaya Flying School example and an aircraft of the 1st Chutai, 63rd Sentai. A sheet with colour profiles of the first two options was also included. The Arii re-issue from 1987 is identical to the Otaki second issue kit and includes the same box art. Karel, a beautiful model! You're an artist. 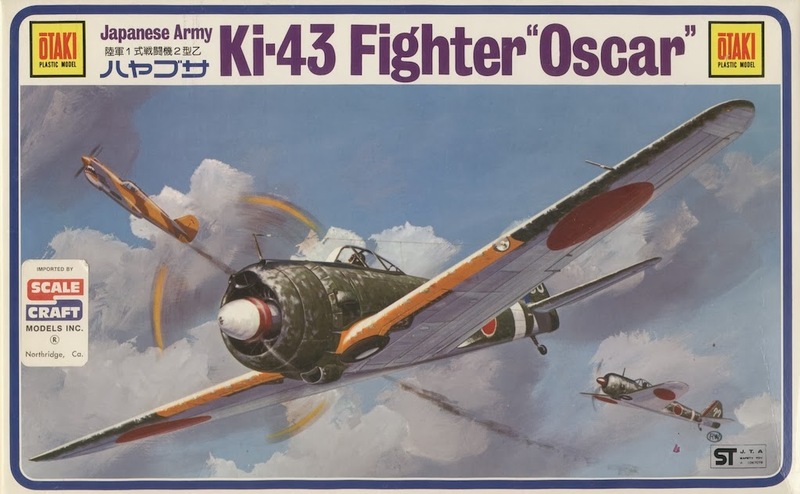 Brought back memories of when the Otaki kits were among the best 1/48 models going, but I don't recall seeing this one built much. Nick, I always enjoy appreciate the 'kitography' features. What I usually wonder is how you are able to date them so exactly. Thank you Karel for sharing pix of your very fine model. Also Nick, for the box art tour.